This is the 5th chapter of the fantasy novel “The Rainlands” (雨の国) by Haruka Asahi (朝陽遥) which I am translating from Japanese with the author’s permission. It is about a man’s journey to a mysterious land and his encounter with its indigenous people and culture. Deeper in the tunnel, there was a few other small rooms of similar design, but when I looked closely these appeared empty. There was only two people locked down here, in different cells, spending who knows how many days in the dark. Thinking about these poor boys made my heart ache. Before I could finish speaking, Ian suddenly sprang forward in his cell behind me and grabbed the bars with both hands. With my neck craned to look over my shoulder, I stood transfixed by his rage, his surprising strength. The boy screamed out in anger, and the bars nearly shook from the force of his hands. I couldn’t clearly make out the stream of curses that followed. I was only able to just barely pick out a few words that, in these lands, referred to something evil, like devil. At first I was overwhelmed by the boy’s tirade, but as I listened I gradually began to grasp its meaning. This fasting ritual was certainly a harsh trial, but only after overcoming it was one considered to be a true member of society. To those who had suffered–and endured–intense hunger, I was indeed a devil bearing a terrible temptation. Ian’s body slumped languidly against the bars, probably exhausted from his bout of screaming. Unable to hold back the rage bubbling up from deep within, I let out a deep groan. Who in their right mind put such an idea into these kids’ minds? Who had forced children to quietly bear this terrifying culling process–calling it euphemistically a “trial”–and persuaded others that it was right and proper to believe that those who didn’t live through it were not real people. I turned my head soundlessly and gazed into the darkness behind me. Yakt hadn’t responded in the same extreme way as Ian, but I could see a familiar mixture of condemnation and uncertainty in his eyes. Unsure of what to say, I reached once more into Yakt’s cell and squeezed his hand tightly. He squeezed me back, apparently comforted by my touch, but his grip was disturbingly weak. I stared into Yakt’s eyes as they gleamed in the darkness, at a complete loss for words. What could I say to convince these boys that everything they’d been taught was wrong? That calling this culling of children a ‘trial’ was nothing but a convenient excuse, and their parents and families were waiting patiently for them to weaken and eventually die, all so they themselves didn’t have to suffer due to lack of food? I turned my back on the dark cells and began to run, as if in escape from something. I have a vague memory of saying a few words to the boys on my way out, but no matter how hard I try I can’t remember what they were. As soon as I put a little distance between myself and that place, any sounds made by the boys were quickly enveloped and washed away by the noise of the storm endlessly echoing throughout the cavern. I returned to the small room I’d been permitted to use during my stay and tucked myself into the blankets in the darkness. But sleep didn’t come, not even for a moment. The moaning voices of starving children still rang in my ears, refusing to let me rest. On that night the sounds of the wind–which always bore a likeness to a human voice–felt even more malicious than usual. These words spun around and around in my head. Could there truly not be enough abundance in these lands to support every child? But I already knew the answer to this question. That was the reason they reduced the number of children, first starving them and then waiting for them to grow frail. The boys died one by one, beginning with those who had a weak constitution or lacked sufficient will to survive. This was their way of life. The weak were the first to die; perhaps there was some logic to that. However, was it not the savage logic of animals? Yet I did no such thing. What good would it do to make a scene all by myself? These people had lived like this for many ages, strictly following this custom. I didn’t think there was a chance they would listen to an outsider just arrived from a far-off land, preaching about something contrary to their beliefs. Or perhaps this was simply the excuse of a coward. The people here, believing in this custom, would even lock away their own children and wait for them to die of starvation. Frankly, I was terrified of anyone capable of that. Sometime around sunrise I finally began to nod off, although the sound of the wind repeatedly woke me. The wind, whose ceaseless howling filled these tunnels. Was the wind, its sound not unlike a moaning voice, actually the resentful voices of the dead? This thought crossed my weary mind again and again. It was the voices of the countless children who had failed to survive long enough in a dark prison cell. Beginning the next day, I shifted the location for my daytime discussions to the room closest to the inner tunnel. I can’t say that I didn’t want to immediately leave this place behind along with any memory of it. However if I ran away now, I had the feeling that the terrible sound of the wind would haunt me for eternity. But more than that, it was the lingering sensation of holding Yakt’s hand that nagged at me. His withered, warm fingers. The caverns in this area were wide, with a great number of people living in them. Those in the deeper rooms who had, thus far, refrained from coming to hear me speak were pleased with my change of location and welcomed me warmly. Each of their faces, alight with curiosity, looked identical to the faces of honest, good-natured people, and this confounded me to no end. These were simple country folk, eager to hear the stories of a wandering traveller. But they were also part of a culture who continued to stubbornly follow a horrific tradition of culling children so they themselves wouldn’t starve. I was having trouble reconciling these two things. Nevertheless, I told my stories, feigning calm, all the while listening intently for any sounds coming from deep in the tunnel. While I pretended to eat, hiding the food I was given during breaks between my tales, like baked dry fish and boiled root vegetables, I waited for my chance. Would bringing these things to the boys only upset them more? It would be a lie to say this wasn’t on my mind, but I couldn’t just stand by and do nothing. However, such an opportunity did not come easily. They seemed to be covertly keeping a watch on the inner tunnel. Even though that first day there wasn’t a single person here, since then whenever I approached the tunnel I spotted someone nearby, mending under the light or making small talk. In the afternoon, when I left the group ostensibly for a bathroom break and headed for the inner tunnel, careful to avoid attracting attention, a short figure emerged from a nearby room and began to approach me slowly. It was the old woman–the village chief that lead the people of this cave. Caught off guard, I stopped suddenly, racking my brains for some believable excuse. But she didn’t question me. She just gradually turned to look at me as she passed by, the faintest hint of a smile on her face. It was the same expression I had seen outside on that clear day: a quiet, transcendental smile. Before I knew it, I found myself returning to the group. My back was drenched in an unpleasant cold sweat, and I couldn’t get the image of the old woman’s smile out of my head. That beautiful, peaceful, utterly pure smile. As I passed in front an empty room, something made me halt. It was an unused room, desolate and bare without a single item inside. Yet it was always kept spotless, and people always bowed their heads solemnly as they passed by. Until then I had considered these rooms as their unique way to practice their faith. But I shuddered when, in a flash of insight, I realized the true purpose of these rooms. Many boys had, at one time, been locked away in a tiny cell deep in the mountains, exhausting their strength until they perished, never to return. These vacant rooms had most likely been their bedrooms. Sure, glad you enjoyed them. What was the 3rd novel translated by me you read? I did stop translating raindance cafe, but even if I was following it the author seems to be writing the story at an irregular pace, and it has been over 3 months since the last update. If the author finishes the story I might consider picking it up again, but too big of a risk at this point. 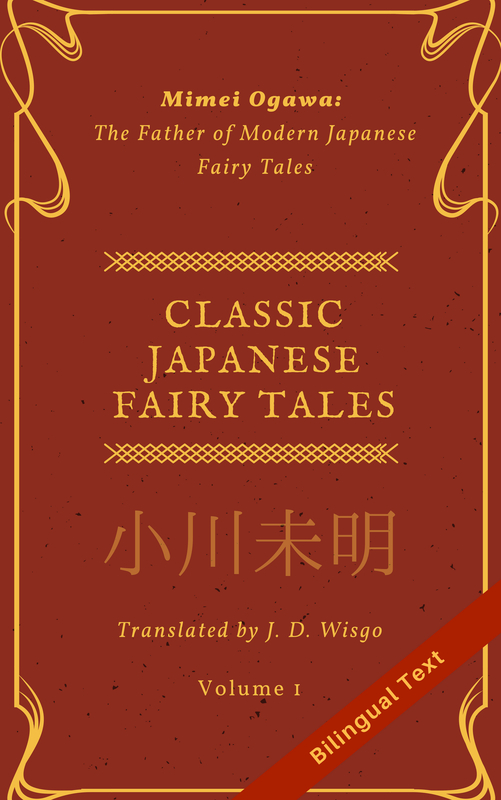 Feel free to vote on my survey for what stories you want me to keep translating though. The third one was Final Day of Summer. It was interesting, but I haven’t really been much of a short story fan. Saw the poll and voted. Lots of people voted for Candy Candy and I haven’t read that. So I’ll read that next. And once again, thanks for translating. Thanks for voting. BTW I just posted Rainlands latest chapter (6) a few hours ago.